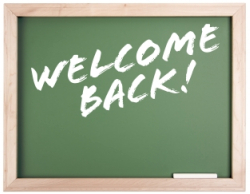 Just a little late on our welcome back to school post. We believe it has been a busy week for all, but how has your first week been? Take our poll and let us know. The Business School news is that Marko Korkeakoski is on a six month leave of absence and Rebecca Kihlman is acting Director of International Programmes. Let’s all help Rebecca out with her new job. telling a bit about his travels and showcasing his photographs. New members of staff have joined the Business School such as Kevin McIntire, who is originally from California and will teach Finance in the school. Last week there were the orientation days for first year students as usual. Anu Luoma again did a great job organising a fun days activities with her ever helpful tutors. Teachers took part in the events but it has to be said that Talent Finland won’t be knocking on their doors anytime soon. Perhaps the old phrase “Stick to the day job” is suitable for the efforts made in the talent show. We have some pictures of the day but have chosen to show only a few pictures as we forgot to ask permission to request use of photographs. If you have photos and other everyone in the photo agrees for it to be used then pass them to us and we can add them to Flickr (send them to info(at)metropoliabusinessschool.fi). The orientation day culminated in a talent show with the winning team of gangly gentlemen producing an amazingly well coordinated and touching version of swam lake. We have video evidence of the ballet extraordinaire but perhaps to avoid being sued we will not post it to the blog OR hmmm what say the winning team?